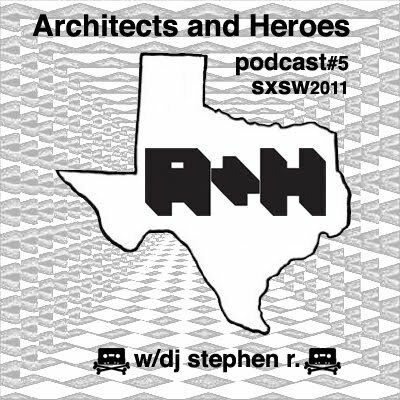 Arcitects & Heroes – Podcast #5 by dj stephen r.
This is the 5th Podcast for Architects and Heroes, and one that marks a milestone for us. We, as a label, curated a stage at the AMODA Digital Showcase. We booked a few of our favorite acts from Texas to play, not only at the AMODA show, but at our very own label showcase. We’re featuring some of the acts that performed with us at the AMODA party, as well as the Architects and Heroes event.